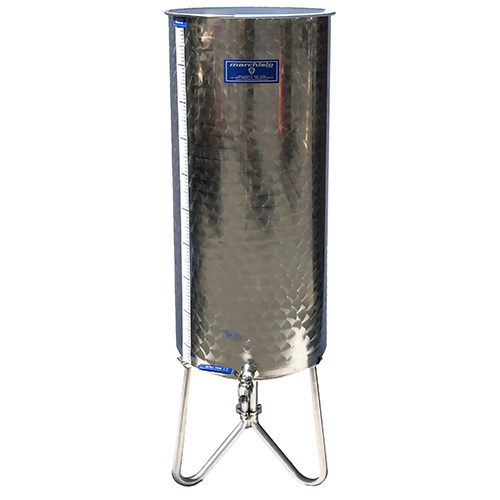 Straight-sided crocks are the classic, time-honored vessel commonly used for vegetable fermentations such as cucumbers for pickling and cabbage for sauerkraut. A fermentation weight or plate may be nested inside the crock on the surface of the ferment to keep the solids submerged in brine. Covers are also available. The straight sides are handy during fermentation when an appropriate sized weight is used. Stoneware crocks can be a good value option, particularly for large batch sizes. These crocks may find other handy uses as pantry and kitchen containers. 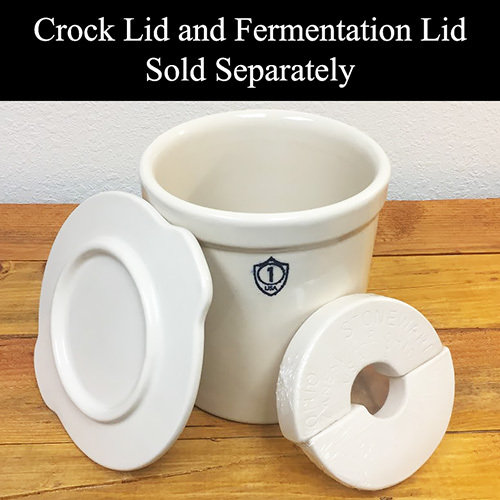 For a complete crock fermentation set, mate this 1 gallon crock with its accessory crock cover and preserving weights. 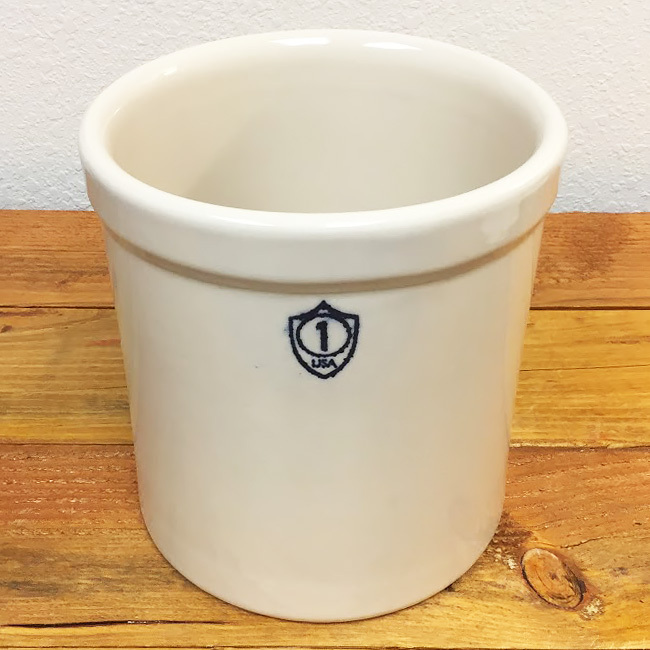 Ohio Stoneware crocks are safe and easy to clean due to lead-free glaze. They are also oven, microwave, and dishwasher safe. Ohio Stoneware is a pottery manufacturing company located in Zanesville, Ohio. They operate in an area that was once considered the Pottery Capital of the World. 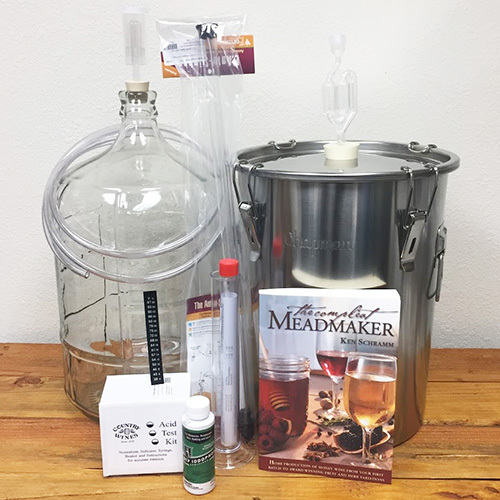 They make a wide assortment of crocks, fermentation weights, dishes, jugs, bakeware, growlers, mugs and other items such as piggy banks and holiday décor. They are proud of their production process and share it with their customers. ​The process begins with processed clay. Ohio Stoneware uses their own recipe of clay mixture to get just the right consistency. Once the clay has been mixed with water, it goes through the pug mill and is formed into snake like slugs. They cut the slugs according to the size of piece that they are making. Each piece is made on a forming press in a metal mold. Depending on the size of item they can make up to 1200 pieces of one item in a day! Once coming off of the press, it is hand finished and moved to the dryer. After it has dried, they hand spray each piece with glaze. All of their glazes are made on site and are made of a unique recipe. After the piece is glazed, it’s ready to be fired. They fire at approximately 2200 degrees Fahrenheit. The firing process takes about twelve hours from the time of lighting the kiln to the time they open the kiln. Once the kiln has been opened and the pieces have cooled, the finished pieces are stamped on the bottom with their name, inventoried and stocked. This item is only available in store. We do not ship this product. Ohio Stoneware Factory :: Zanesville, Ohio from Greg Swingle on Vimeo.